Netflix may be teaming up with box office powerhouse Melissa McCarthy (Can You Ever Forgive Me?) 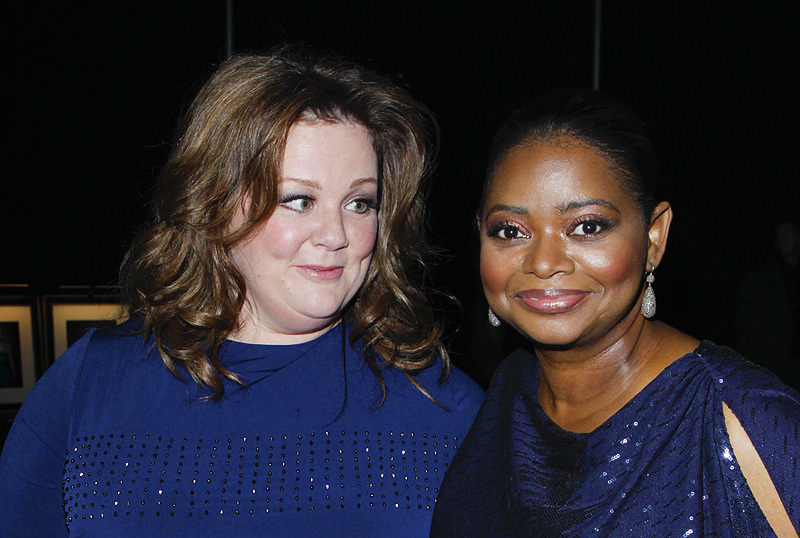 and critically-hailed Octavia Spencer for the upcoming superhero film Thunder Force as the two have entered negotiations to star in the project, according to Variety. The film, which is being written and directed by McCarthy’s husband Ben Falcone (Life of the Party), is keeping its plot details close to the chest, but the general plot will follow McCarthy and Spencer’s characters gaining super abilities. Falcone and McCarthy have previously worked together on nine projects beginning with the 48-year-old actress’ breakout performance in 2011’s hit comedy Bridesmaids, followed by a handful of small roles in McCarthy-led films and three of which Falcone wrote and directed including 2014’s Tammy, 2016’s The Boss and last year’s Life of the Party. The couple will next work on the upcoming action comedy Super Intelligence, in which Falcone only directs the project and McCarthy is set to star and is slated to hit theaters December 20. Spencer has been enjoying a career uprise for the past eight years following her Oscar-winning performance in the 2011 historical dramedy The Help followed by celebrated and key roles in the 2013 sci-fi actioner Snowpiercer, the 2016 biopic Hidden Figures, 2017’s Oscar-winning The Shape of Water and last year’s Instant Family, while also producing the Best Picture winner Green Book. She will next be seen in the upcoming psychological thriller Ma, which is slated to hit theaters on May 31.